Who needs post-production effects to make a dazzling music video? Not Zach Lieberman. No post-production effects were used in this video. 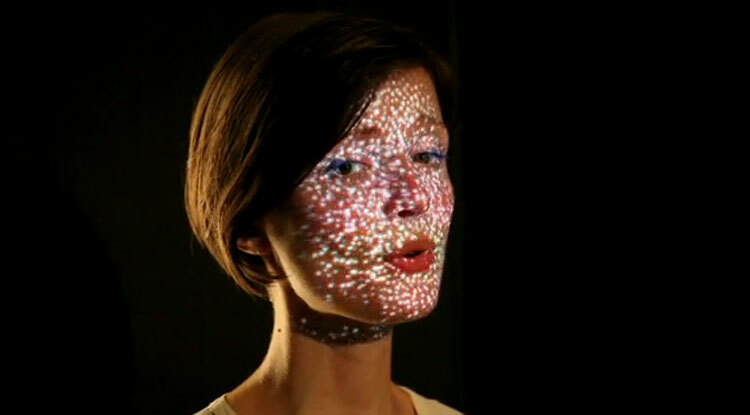 everything on the face is happening in real-time, via hacked Kinect, laptop and LED projector. It’s built using FaceTracker code from Jason Saragih.